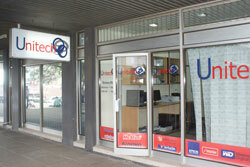 Unified Technologies Limited (Unitech) is a leading provider of Information Technology and Communications (ICT) infrastructure offering tailored solutions that include innovative and best – of breed technologies based in Chayamba Building in Blantyre, Malawi. 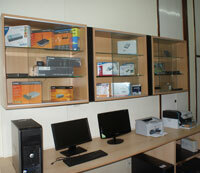 Unitech was established in 2008 with the aim of helping organizations to improve their business using IT. Our customers include individuals, small and medium enterprises, large corporations, non-governmental organizations and diplomatic missions. Our customers are in banking and financial services, insurance, energy and mining, retail, real estate, education and health services, utilities, central and local government and donor agencies. Our mission is to help organizations to improve their businesses through ICT. Our vision is to be the leading ICT provider in Southern Africa in terms of excellence in service delivery.